Fortysix percent of jobs in Australia are in small business. “It’s new small businesses that create jobs, adding around 1.4 million jobs every 3 years,” says Trang Du, founder of job matching platform Two Square Pegs. 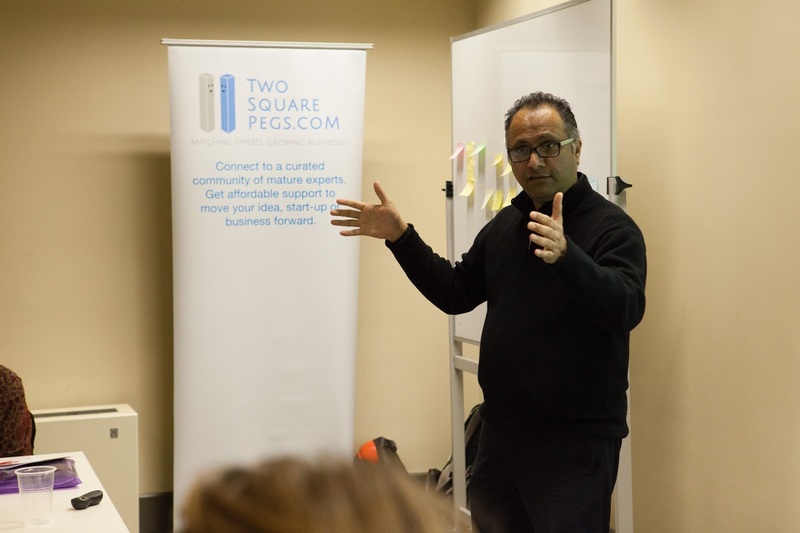 Two Square Pegs partnered with the City of Yarra via an Annual Yarra Grant to help locals learn more about opportunities in the small business job market. The What’s it like working in a start-up or small business workshop ran on 14 July at the Yarra Library with careers coach Naishadh Gadani from the Victorian Skills and Jobs Network and a panel of small business owners from the Yarra area. “You will work very closely in a small team, people have to get along,” says Onur Ekinci, founder of online learning platform Peer Academy. “We use a prototyping approach to get to know our new recruit.” That means starting the working relationship on project-based tasks with set objectives. He hires based on the success of that project and describes the recruitment process is much like dating and searching for the ideal match. In the business community there is a lot at stake and business owners want to be sure they’re making the right decision. Small businesses don’t tend to have HR departments or IT help desks. Vikky Gallagher, residential broker for local business Bruce Brammall Financial discovered working in a small business means wearing a lot of hats and having to learn on the go. She is a trained financial broker who also does the social media for her small business employer. Gadani says, “We are now in a world where we will have a career portfolio”. He encourages people to rethink their career, rather than rely on traditional concepts of working in one organisation for your entire career. The future worker’s career portfolio might look like part-time work alongside freelancing or consulting; or, if you are older and experienced, working in an advisory role with equity arrangements. There are a range of industries in the City of Yarra. The Yarra Joblink site helps City of Yarra residents discover jobs with local small businesses. Being flexible and reaching out through informal networks as well as using local online platforms like Yarra Joblinks and Two Square Pegs is key to finding opportunities. Small businesses provide a great place to work with opportunities to learn and grow in a role. Today’s small business is different. It’s a reliable sector that creates most of jobs available on a job market and it gives many job seekers a chance to start a career. There are many advantages I see in being a small business employee. I remember how I checked resume writing services review, ordered a quality CV and got my first serious job. I enjoyed working in a small office and I liked the way our boss had supported his employees. I have heard that small businesses have happy employees and from own experience I know that it’s true! I agree with post above about "small businesses have happy employees". For me - this is true. I actually haven't read this great book, but I am going to read it with my children. Thank you for reminding! I want to advice you one interesting and the best essay writing services by PaidPaper.net. Here you can order any kind of student's works.